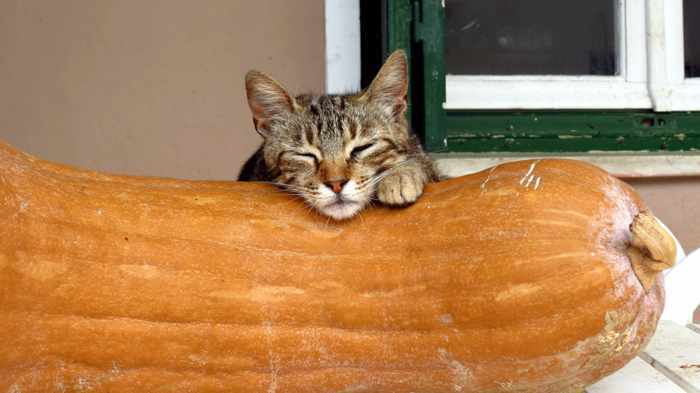 A cat catches an early afternoon snooze on a giant butternut squash displayed on a table outside a house in Stenies village on Andros. We saw the cute kitty cozying up to the giant gourd while we were hiking around the Stenies area during our Andros visit in late May. 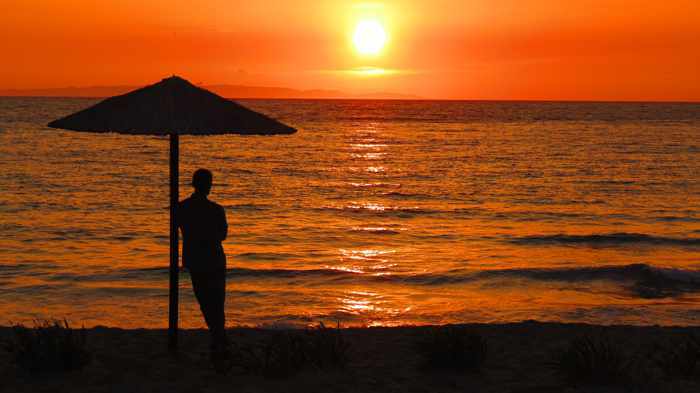 That’s me watching a brilliant June 4 sunset from Kini beach on Syros. 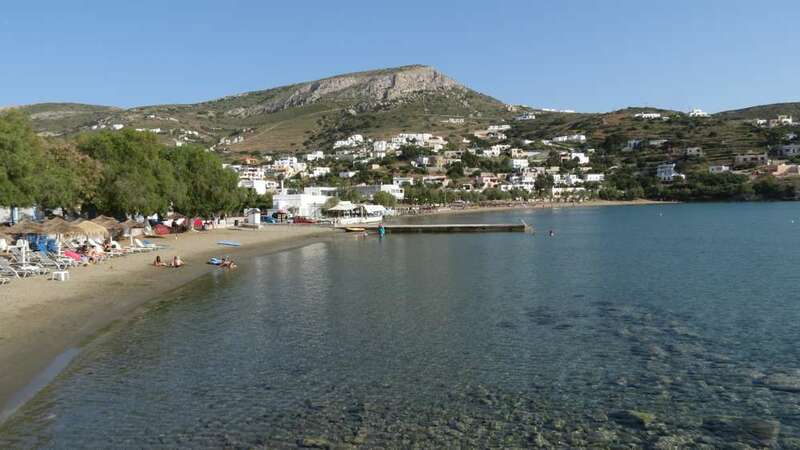 We have returned home from our 12th consecutive trip to Greece, during which we visited Andros for the first time, paid a repeat visit to Syros, and ended our vacation with a brief one-night stay in the Glyfada suburb of Athens. It was one of our best holidays ever (quite possibly even the best), and I’ll be showing and telling you more about it in the weeks to come. To distract myself from our January deep freeze in Canada, I’ve been looking through photos of Greek Island beaches, like this one of Kini Bay from our visit to Syros last May. If you’d like to see more photos of this lovely family beach to take your mind off winter weather wherever you might be, click here to access my Kini beach album on Flickr. Hits the spot: Our Greek holiday in May included a long-overdue first-time visit to Syros, an island in the Cyclades that has piqued our curiosity and been on our must-see list for the past 10 years. 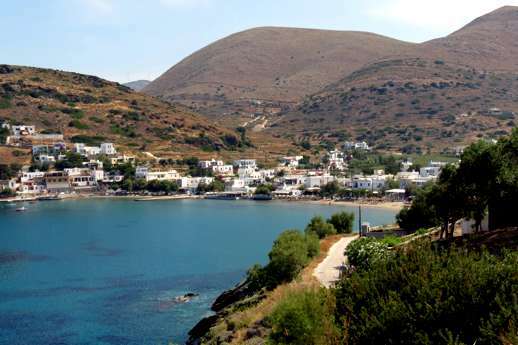 We got our first quick peek at Syros back in May 2004 when the highspeed ferry we were riding from Athens to Mykonos stopped briefly at Ermoupolis, the port and capital city of Syros. We managed only brief glimpses of the city’s grand neoclassical mansions and its hundreds of colourful houses seemingly stacked one atop the other on the two steep hills behind the port, but we were intrigued — especially by Ermoupolis’s stark contrast to the brilliant white “sugar cube” architecture we saw everywhere else in the Cyclades. 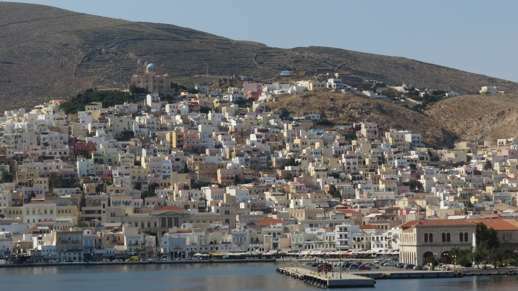 We have briefly seen Syros during a couple of ferry rides since then, and also got a great bird’s eye view of it during a flight from Athens to Naxos in May. We finally got to set foot on Syros soil on May 24, and almost instantly fell in love with the island. 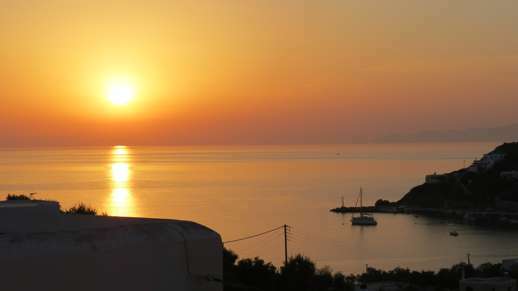 We spent our first two nights in the enchanting port city, Ermoupolis, followed by four nights at Kini, a village and beach resort on the west coast. 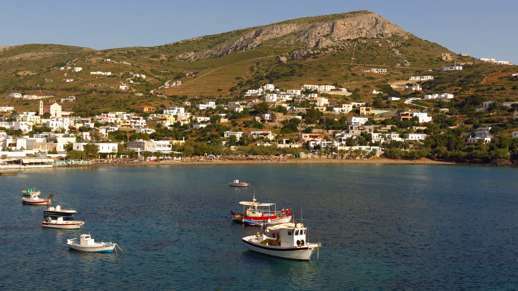 We thoroughly enjoyed Ermoupolis, but we particularly loved Kini, and wish we could have spent more time in both places. 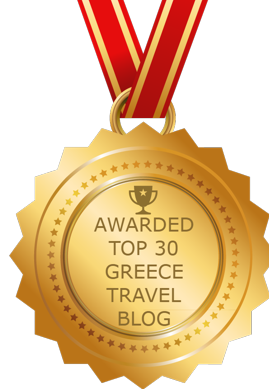 In fact, we now consider Kini one of our favourite beach destinations in Greece. 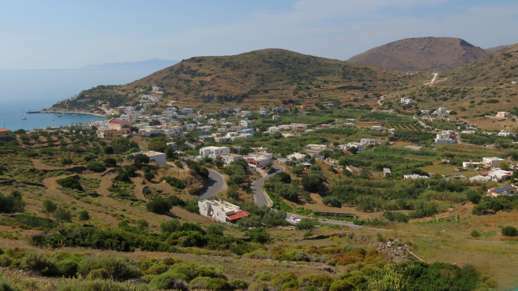 I’ll be telling and showing you a lot more about Ermoupolis, Kini and other parts of Syros soon. In the meantime, I have posted a few more photos of Kini Bay below. Click here to see hundreds of additional Kini photos, and click here to see my Flickr albums for Ermoupolis, Ano Syros, Lotos beach, Delfini beach, and other places on Syros.